A good job is a tidy job. 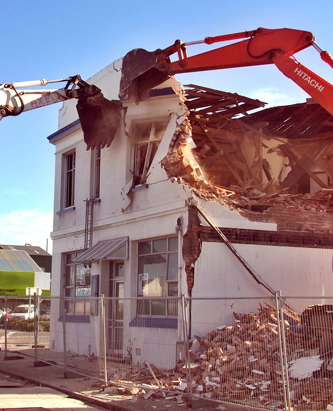 Two diggers are used to secure the face of the building from collapsing onto the street. demolition - need something reconstructed, deconstructed, demolished, removed. Give us a call. we have thousands of preloved things from Victorian, Deco to Modern. Give us a call or come and see us. village - the village has been in films, plays, TV and magazines. A popular destination for school trips, tourists and anyone wanting to walk back in time. A tiny town, a place from the past an anachronism. For our latest listings please go to face book. To enlarge the type on this site, go to view, click zoom.